Lionsgate is celebrating a successful year after having moved up a spot to be ranked sixth among all studios for the market share of the film industry. While there has been a decrease in their stock price over the last three months, from $25.40 to $20.33, the company’s stock is rising again. Their television business has also seen impressive growth, with its revenue increasing by 30% to $580 million . The company anticipates further increase in their television revenue after shows such as “Orange is the New Black” and “Nashville” were picked up for new seasons. While Lionsgate has experienced great success from its distribution of film franchises such as “The Hunger Games”, “The Twilight Series”, and The “Divergent” Series, the company has noticed a change in the way these types of franchises are being received. Lionsgate was relying on the newest installment of The “Divergent” Series, “Allegiant“, to take the box office by storm. However, “Allegiant” grossed a mere $29 million dollars its opening weekend in the domestic box office, marking the lowest opening for the film franchise to date. To date, the film has made $64,403,316 at the domestic box office which compares to the over $130 million produced individually by the franchise’s first two films. Lionsgate has proven to the entertainment world that they are a force to be reckoned with. A true underdog story, Lionsgate has risen from small independent production company to a leader in the film and television industries. With innovative ideas and content pouring out of the company, 2016 is sure to be a monumental year for Lionsgate Entertainment. Lionsgate is a true underdog. Where much of its competition is celebrating centennials, Lionsgate isn’t even old enough to have a drink at the bar. 2015 was a monumental year as their television properties escalated and their signature Hunger Games series came to an end. 2016 is promising and the Lionsgate name is sure to grace the headlines several times in the coming year. 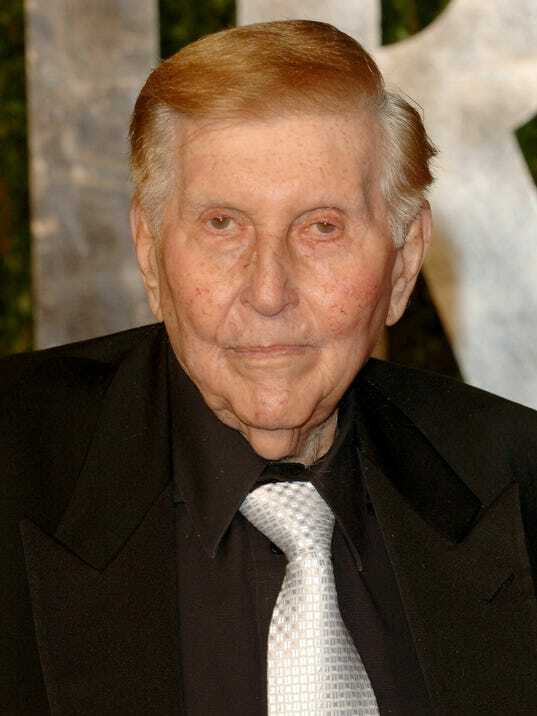 Lionsgate Entertainment was founded in 1997 by financier Frank Giestra. In 2000 Giestra stepped down as CEO, and the current CEO, John Feltheimer, took charge along with the current Vice Chairman Michael Burns . For a while, Lionsgate was seen as a small studio known for their Tyler Perry comedies and horror flicks such as Saw . Then, in 2012, The Hunger Games came to theaters, and become one of the most successful film franchises in history. Since then, Lionsgate bought Summit Entertainment (Twilight series) and has been speeding up to the major film studios in record time . This particular wiki will focus on Lionsgate’s motion picture production line of business, as it is also involved in television programming, home entertainment, distribution, and new channel platforms . Since starting in 2000, Feltheimer and Burns have grown Lionsgate from an $80 million company to a nearly $4 billion one today. 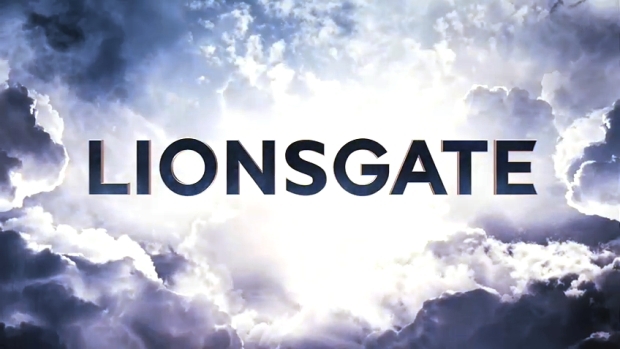 Lionsgate’s revenue has increased more than 15 times over . Lionsgate reported as of September 30th (when the quester ended) their revenue has increased by 11% to $552.9 million. They also had an adjusted EBITDA of $59.0 million. They also had an adjusted net income of $33.0 million or $0.24 adjusted basic net income per share. Additionally, they had a net income of $20.8 million or $0.15 basic net income per share, which is up from $0.00 basic net income per share last quarter . In this portion of the story, Katniss is in District 13 as the face of the rebellion, while trying to save Peeta from the Capitol . The third movie in the Hunger Game’s franchise which made over $1.5 billion in the box office before this new release . The Hunger Games is by far Lionsgate’s most well-known and lucrative project. This third film came out November 21st, and has spent its two weeks of release being number one in the box office . With a budget of $125 million, it has already made $225 million in the domestic market and $480 in the international market . This franchise is also responsible for the Jennifer Lawrence’s rise to one of the top A-List stars in Hollywood. John Wick is the story of an ex-hitman who comes out of retirement to hunt the gangsters who took everything from him . With the reintroduction of Keanu Reeves, John Wick did surprisingly well as number 2 in the box office opening weekend. With a budget of $20 billion, Lionsgate gained $42 million domestically and $17 million internationally . Addicted is a thriller that encompasses a story about a gallerist engaging in an affair, which jeopardizes her family and career . Jessabelle is the story of a girl who returns to her hometown after a car crash, where she’s met with a dark spirit who won’t let her go . Addicted came out on October 10, 2014 and made $17 million. It was in approximately 1,000 theaters for only about 7 weeks . Jessabelle is a horror film that came out on November 7th, 2014. As of now, there is no information on the budget, earnings, or number of theaters of this film . Dear White People is a story about four black people struggling with race at a university . The Homesman is the story of a man and woman who must transport 3 insane women across the country . Dear White People was released on October 17th and has made about $4 million domestically (it was not released in the international market) . The Homesman came out on November 21st. The film had an estimated budget of $16 millions and has only made $200,000 in the box office thus far . Starring Johnny Depp, Gwenyth Paltrow, Ewan McGregor, and Olivia Munn, Mortdecai is sure to be a success. It is set to be released on January 23rd. The story is an action-comedy who’s premise is an art dealer is given a job to hunt down an art thief and faces an adventure across the world . CEO Feltheimer compares this film to The Pink Panther and considers Depp’s character very “franchisable” . The movie’s release was moved from early February so as to reduce the competition: now it is pinned up against Jennifer Lopez’s thriller The Boy Next Door . Perhaps the biggest grossing project next to The Hunger Games is the Divergent franchise. Insurgent, the second film of the trilogy, sets to be released to theaters on March 20th . Divergent, the first film, made about $288 million worldwide last spring . This film is estimated to be even more successful because the lead, Shailene Woodley, has escalated in fame since Divergent’s release through the film Fault in Our Stars . Also interesting is the fact that Lionsgate has released a trailer that is a dream of the lead Tris (Woodley)- which has been commented on by news outlets as a risky way to promote the film, especially since they leave out the romance element of the film . Insurgent will also be released in 3D. Starring Blake Lively, The Age of Adeline tells a story about a woman who cannot age. 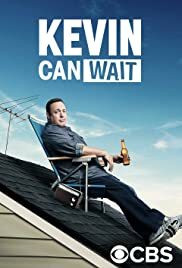 It is set to be released on April 24th . This is the first big movie Lively will lead in, so it’s a potentially big opportunity to draw fans in . Spare parts is the story of four under-privledged hispanic boys starting a robotics club. It is set to hit theaters on January 16th and is starring George Lopez and Jamie Lee Curtis . This film was a move by Lionsgate to reach out to and widen their Hispanic market. The Hispanic market is the fastest growing demographic in America, comprising 19% of U.S. box office revenue while representing 17.5% of the population . Lionsgate has been extremely busy in the last few months expanding their company. The way they are doing this is by partnering up with many major companies to add projects to their plate and widen their distribution for the films they already had. On September 3rd, Lionsgate announced that joined with Entertainment One, they would be renewing their multi-year film agreement in Canada, Australia, and Spain. This renewal will continue to distribute their major movies across the world, giving their company more recognition and money . The last few months have been heavily focused on advertising and marketing The Hunger Games. On October 8th, Lionsgate partnered with Doritos, Mazda, and Whole Food’s, all of which sponsored a new app called “Our Leader, the Mockingjay” . On October 20th, Lionsgate sent out a press release with the partnership between them and Google, where they created a five episode YouTube series about characters in Panem (the setting of The Hunger Games) . Then on November 7th it was announced that Lionsgate would be partnering with Imagine Nations to produce The Hunger Games as a theater production in the UK . 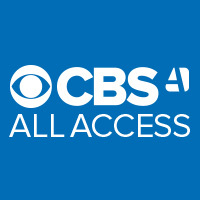 As of November 13th, Lionsgate has partnered with CBS Films on up to 12 wide-release films. In this agreement CBS finds and produces the films while Lionsgate deals with distribution. This will allow each company to benefit from each other’s strengths . There are many other examples of Lionsgate using any film success they’ve had to branch out into new media channels. It seems as though they are going to continue moving full speed ahead on their business ventures. Lions Gate Entertainment Corporation was formed on July 3, 1997 in Vancouver, British Columbia by Frank Giustra, a former investment banker. After its initial formation, it began a series of acquisitions of minor film studios in order to establish itself in the film industry. On January 13, 2012, Lionsgate announced that it had purchased Summit Entertainment, the producers and distributors of The Twilight Saga for $412.5 million . This merger had been planned for 4 years. As of now, LGE is responsible for the distribution of the major franchises of The Hunger Games, Twilight, and more recently, Ender’s Game. Jon Feltheimer: Feltheimer has been the Chief Executive Officer of Lionsgate since March 2000. Before he joined Lionsgate, Feltheimer spent nine years at Sony Pictures Entertainment as head of the Columbia TriStar Television Group as well as heading Sony Entertainment Television. Michael Burns: Burns has been on the Lionsgate Board of Directors since 1999. In March of 2000, Burns became Vice Chairman of Lionsgate. Before joining the Lionsgate team, Burns had a background in investment banking. During its Second Quarter, Lionsgate reported a net income of $25.4 million. Revenue of the second quarter declined by 29% in comparison to the prior year’s corresponding quarter, most likely because of the timing of The Hunger Games home entertainment release . In the past six months, Lionsgate has become a favorite of Wall Street investors due to sleeper-hit films like Now You See Me and Instructions Not Included . Now You See Me, a film directed by Louis Leterrier and starring Jesse Eisenberg, Morgan Freeman, and Isla Fisher centers around a group of magicians who use illusions and slights of hand to pull off a bank robbery. The film was a surprise hit, earning $117,723,989 at the domestic box office and $234,000,000 internationally totaling to a $351,723,989 worldwide gross with a $75 million budget . Critics’ reviews were mixed. Recently, a sequel for Now You See Me was confirmed . Instructions Not Included is a film co-written, directed by, and starring Eugenio Derbez that shattered box office records by being the highest-grossing Spanish-language film released in the U.S. of all time . As of now, it has domestically grossed $44,239,362, with a worldwide gross of $85,317,913. Considering its estimated budget is $5 million, the profit for Lions Gate with this release has well-exceeded its expectations . The success of Instructions Not Included has been attributed to Derbez’s star power in Mexico; he stars in a telenova as well as a variety show . 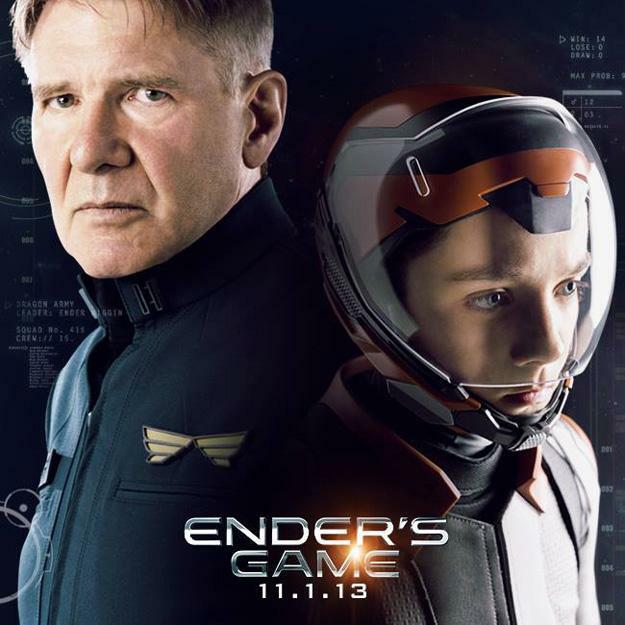 Ender’s Game, a sci-fi fantasy film based off of the popular young-adult novel by Orson Scott Card, however, failed to become the big box office draw that Lions Gate and its subsidiary, Summit Entertainment, had hoped. The film centered on a young protagonist named Ender Wiggin who is recruited by the military to attend a military academy in outer space to be trained to defend against a genocidal alien race that previously almost annihilated the human race. Controversy surrounded this movie due to the beliefs of the author of the novel, who is vocally against gay rights as well as a member of the Church of Latter-Day Saints . The film grossed $53,593,921 domestically and $9,137,000 internationally, and grossed a total of $62,730,921. Its budget was $110 million . In other news not directly related to their film releases, James Keegan, who was Lions Gate’s Chief Financial Officer, retired on October 1st. 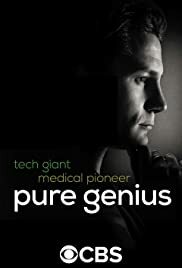 Keegan was with the company for 25 years. However, Keegan will remain a consultant until January 3, 2014 to assist in the transition. Keegan was succeeded by James W. Barge, Viacom’s previous Chief Financial Officer since 2010 . Lionsgate has multiple projects in the works at the moment, with most of their content skewing to the younger-demographic that they seem to draw in so well. The most-anticipated event on the near horizon is the release of The Hunger Games: Catching Fire, sequel to the 2012 film The Hunger Games. Set to release on November 22, 2013, it is already conservatively estimated that the movie will earn between $140 and $150 million at the box office . If this were to happen, it would break records, becoming the highest-grossing November release (the previous title-holder being The Twilight Saga: New Moon, with $142 million ). On a conference call on November 8th regarding the studio’s quarterly earnings, Lionsgate CEO Jon Feltheimer stated that the studio was exploring the possibility of getting into the theme park business. The hypothetical theme park would be based around the blockbuster “Hunger Games” franchise. The studio has already been approached about the possibility of a theme park in two territories. No further details were given . Another highly anticipated film that Lions Gate is involved in that is also based off a successful young adult book series is Divergent, a sci-fi film directed by Neil Burger and starring Shailene Woodley. Divergent is set in a futuristic, dystopic America where people are divided into five factions based on their personalities. The story follows Beatrice “Tris” Prior whose personality does not fit into any of the five categories. The film also stars Kate Winslet and Zoe Kravitz. As of now, the release date is March 21, 2014 . In addition to the release of the Hunger Games: Catching Fire, Lionsgate is also looking forward to the release of Hercules: The Legend Begins under its Summit label, directed by Renny Harlin, and starring Kellan Lutz. This movie will trace the origins of Hercules from when he is “betrayed by his king, sold into slavery and fighting for his freedom to return to his true love” . Lions Gate moved the premiere date of Hercules: The Legend Begins up to January 10 so it will not have to directly compete with Paramount’s Hercules, starring Dwayne “The Rock” Johnson . “Lionsgate Pacts with Codeblack CEO Jeff Clanagan”. Hollywood Reporter. Lionsgate’s The Hunger Games: Catching Fire, is the sequal to the previous The Hunger Games, released last year, and is also based on the acclaimed novel series. Due to be released on November 22nd, 2013, in the U.S., the film stars last year’s Academy Award winner for Best Actress (albeit not for The Hunger Games), Jennifer Lawrence, alongside the well known Chris Hemsworth, who previously had a small role in the Lionsgate film, The Expendables 2. The film is expecting to be very successful, with some estimating it to gross nearly $400 million worldwide. This would surpass the $325 million earned by the original and would put Lionsgate in position to be one of, if not the biggest winners, of the winter holiday film season. The film benefits from the existing audience from the original novel series, as well as the significant star power of the cast. This isn’t limited to Lawrence and Hemsworth, as Woody Harrelson, Donald Sutherland, and Stanley Tucci, among others, help round out the cast.